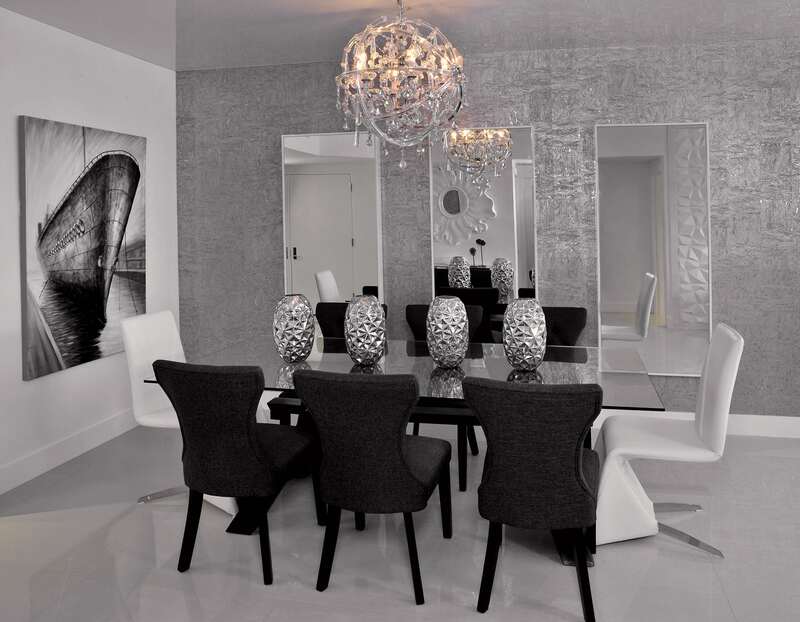 The classic color combination of black and white can create a sophisticated, dramatic, and timeless décor in any room. There are several interesting and engaging ways to incorporate this color palette into your home. If you want to make a decor statement in your home with this classic color combination, then read on. In today’s post, we’ll share some amazing ideas to help you pull off this home décor trend in your interiors. When you keep the walls bright white or ivory white, they serve as an ideal background for black shelves, framed photographs, prints, and artwork. If you want to add a dash of color to the black and white palette, you can choose artwork with gold, red, yellow or pink accents. If you want to create more contrast on your walls, opt for patterns such as stripes, checks, mosaic, diamonds, zebra print, etc. in the form of cushions, throw pillows, rugs, window treatments, and other home accessories. You can also create a feature wall with any of these patterns and make a bold statement. Rugs are a simple way to introduce this home décor trend to your living room, especially when you have white flooring and furniture. Get a black and white rug with geometric patterns to transform the ambiance of your room. You can choose from simple stripes to interesting and complex black and white patterns or ask your interior designer to create a customized pattern for your space. You can also add the black and whitecolor combination in your dining room with a dramatic table setting. Consult with your home designer to explore innovative ways to set a table in this color scheme. A professional interior designer can help you pick the right table and seating to match your décor style, the color of your table linen, different types of tableware, decorative items such as candle holder, vases, and other accessory pieces. Black luxury metallic accent pieces are very popular and they make it easy to work with the classic monochrome palette in your space. When you flaunt white walls, furniture, and flooring, such accent pieces can help you create a bold interior style. You can choose from a wide range of accent pieces such as centre tables with a glass or metal top, shelves, bookends, light fixtures, and many more. Your professional home designer can help you design futuristic accent pieces in black to make your home décor stand out. We hope you find some inspiration from these black and whitehome décor ideas. There are many more innovative ways to include this trend in your home interiors. To choose the perfect style that suits your luxe home and help you uniquely design your space, consult a luxury interior designer who is updated with the latest technology and interior trends.